AWAY is used when the user is away from the premises and wants interior protection (usually means that the motion detectors will be ON). 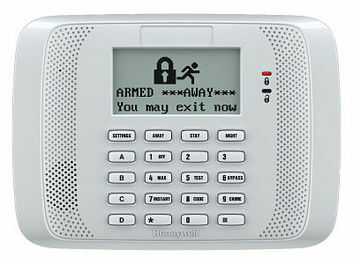 STAY is used when the user is inside the premises and wants protection around the perimeter (the motion detectors OFF). NIGHT is used when you have sensors such as motions in paths you will not cross at night but should be off when you are at home in STAY mode. Enter the 2-digit user number and then * (example: “03*” for user #3, “52*” or user #52). At the “New User Code” prompt enter the new 4-digit user code. A short “ding” alerts you that the new code was accepted. Keypad will continue to display zones that went into alarm.